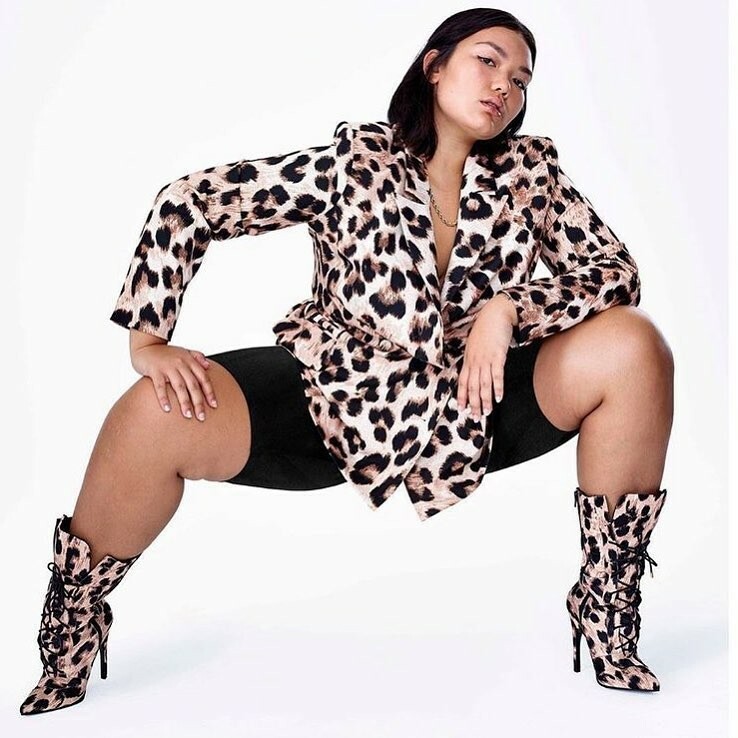 CELEBRATING WOMEN'S BODIESLAQUAN SMITH x ASOS DESIGNEvery so often, a fashion designer comes along that's a total breath of fresh air. LaQuan Smith is one of them. A string of setbacks and rejections has propelled the New York-based designer to entrepreneurial stardom, allowing the likes of Beyonce, Rihanna, and Cardi B to wear his fiercely feminine designs. Now, he is collaborating with one of the UK's favourite high street brands. So what's in the ASOS x LaQuan Smith collection?--The collaboration is set to hit the ASOS site on Halloween (November 1, if you're unsure of that particular date). Each and every piece in the collection is glamorous with a capital G. There's Smith's signature off-the-shoulder skintight dresses in varying lengths, faux fur, and latex-like materials, and so many prints from leopard to camouflage to glittery stripes.Along with the dresses, Smith has designed stripy cycling shorts, barely there fishnet tops, '90s style low rise trousers, and a faux fur maxi coat you'll never want to take off. I can't possibly forget accessories which include lace-up camo thigh high boots (now that's a mouthful), futuristic sunglasses, and a crystal mesh durag.ASOS is marketing this collab as its biggest one yet and has made sure no one is left out with men's and women's styles available as well as designs appearing in ASOS Curve and ASOS Plus sizes. Prices are said to start from £18, proving that affordability was top of the list for both ASOS and Smith.Smith has taken over the American fashion scene in recent years. After his grandmother gave him a sewing machine at the age of 13, he learned how to create his own clothes, Fashionista reports. Several fashion schools turned him down but that didn't deter him. Instead, he wore his own designs out in his native New York, handing out free clothes to women he admired in nightclubs, Teen Vogue reports.His own brand officially launched in 2013 and has risen to the top of many celebrity wish lists. That black latex dress Kim Kardashian wore to Tom Ford's 2016 show? LaQuan Smith.The most eye-catching looks donned by Beyonce on her On The Run II tour? LaQuan Smith.That see-through green fishnet creation adored by Rihanna? Yep, you guessed it, LaQuan Smith.Left: Kim Kardashian | Middle: Beyonce | Right: RihannaAll wearing LaQuan Smith.In other words, Smith has made it. Whether it's his sheer determination or the fact that he embraces all kinds of women or even a bit of both, his clothes are confidence-boosting works of art.